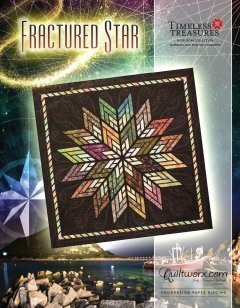 The foundation papers for the Fractured Star were designed by Bradley and Judy Niemeyer. The instructions included herein describe the process of making one quilt. Additional papers are available for purchase to increase the size of the pattern or make another quilt.